Working on a roof is dangerous and there are a lot of health and safety risks that you need to be aware of. If you run a Kent roofing company, you need to know what steps you should be taking to manage the health and safety risks that are inherent in this industry. If you are unsure about where to start, it is recommended that you take this one job at a time. The first step in managing the health and safety risks of your roofing company will be to take the time to identify the potential hazards. There are certain hazards that will be applicable at all times such as falling from a height. However, there are other hazards that could be job specific and you need to be aware of this. This is why it is recommended that you identify the risks before each job that you do. When you are identifying the hazards, you need to assess them as well. When you do this, you should look at how significant the hazard is and how badly harmed someone could be harmed as a result of the hazard. If serious harm can be caused by the hazard, you will need to rank this as a significant hazard which needs to be urgently addressed. Once you have identified all of the hazards on the job, you will need to look at how they can be controlled. When considering the controlling of hazards, you should think about what can be done to eliminate, isolate or minimise the hazard. There are a number of points that you should consider to determine this. The first will be if the job can be completed without exposing anyone to the hazard. This will eliminate the hazard and could be done at the design and construction planning. You might also be able to eliminate the hazard during the tendering stage of the job. If you cannot eliminate the hazard, you will need to look at protection measures which can be applied to isolate the hazard. This could include having scaffolding with an edge protection which will limit the chances of a fall. You could also ensure that only certain employees are able to work in the area around the hazard. If elimination and isolation are impossible, you will need to look at how you can reduce the risk of harm. This is the most common route taken by roofing companies in Kent as there are many hazards that cannot be eliminated or isolated. When taking this route, you will need to think about total restraint systems and work positioning systems which will keep your employee’s safe while on a job. When looking at reducing the risk, you need to carefully consider the use of ladders. Ladders should only be used for access and for short periods of time. 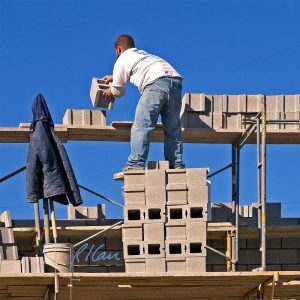 You should not allow your employees to use ladders as their primary means of stability while working on a roof as they are inherently unstable. 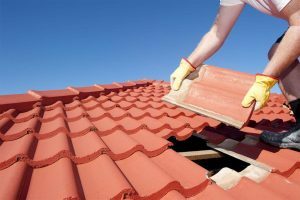 They are also one of the biggest risks in the roofing industry. Once you have identified the hazards and determined what can be done regarding them, you have to document this. The documentation should be made into safe working practices that are distributed to all employees. You will also need to provide training for all of your employees. Ideally, training will need to be completed before each job that you do. This is due to the fact that each job could have their own risks that were not covered in previous training. If there are common risks, you should complete a refresher for all of your Kent roofers to ensure that they are safe.